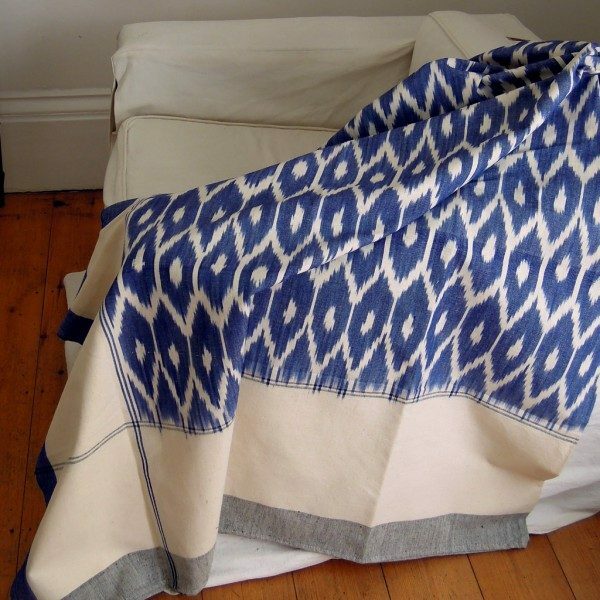 Pure cotton handwoven bedspread made in India using the complicated dyeing and weaving process known as Ikat. 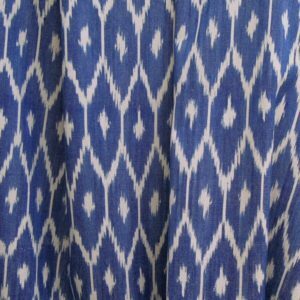 The threads are selectively resist-dyed creating a wonderful soft-edged pattern. 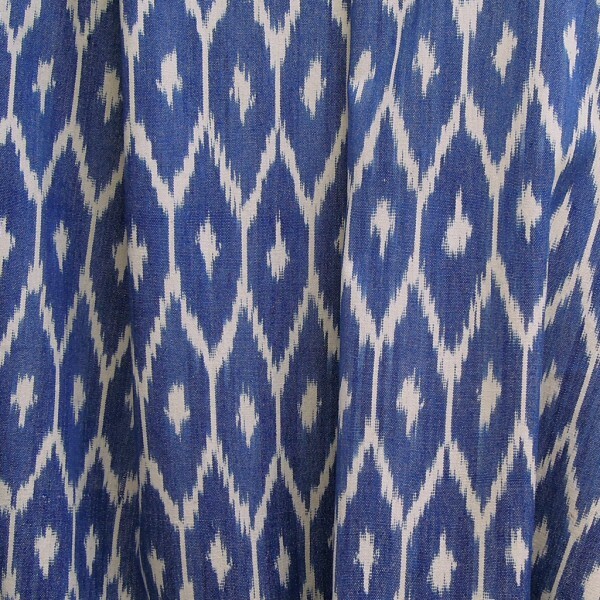 Can be used as a throw, a bedspread or a tablecloth. Machine washable at 30 degrees centigrade with a gentle detergent. 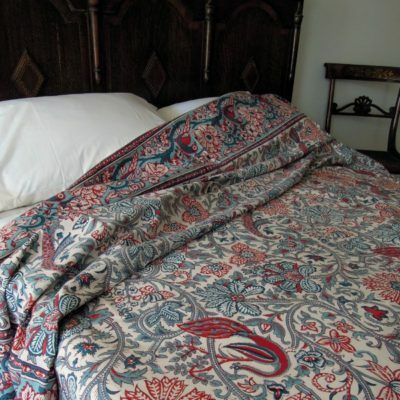 Please note that this is handwoven and may therefore have inconsistencies in the weave.